Syrian president says Deraa “is in forefront in confronting Israeli enemy,” mentions “internal and foreign” factors in demonstrations; Assad takes on sole responsibility for stability in Syria. 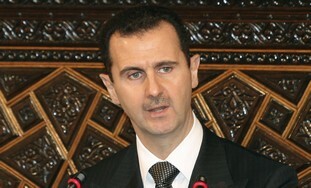 Damascus, Syria (JPost): Syrian President Bashar Assad clung to power after protests, saying he is responsible for keeping stability, in a Wednesday speech to his parliament. The Syrian president mentioned more than once a mixture of “internal and foreign” factors influencing the protests, alluded to what he called the “domino effect” pursued by the “past administration in the United States,” adding that the former US president’s intentions backfired and had the “opposite effect” in the region.